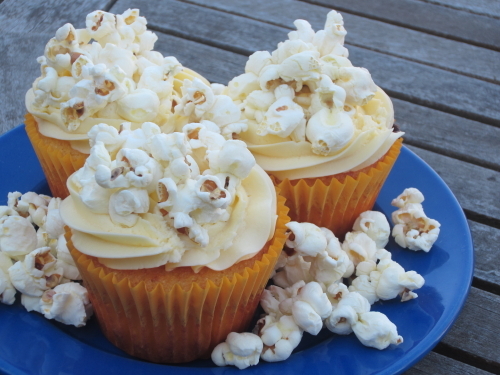 Here’s a little Monday evening bonus from Cuppycake cookbook mastermind Vicky Vladic’s blog. This cuppycake, which If I read it correctly not only sounds delicious, but is also gluten free! Huzzah! I did not know there there was a whole movie made about the sneezing baby panda! I must find it. How did it escape my notice? Gadzooks! I almost missed it too. Hope you can find it. Interesting looking cuppycakes love the popcorn topping must try one. They’re great with a movie! Definitely will try the cuppycakes with a movie. I also can’t wait for the The Panda Chronicles Cuppycake Cookbook to come out. OMGoodness, there was a movie based on the Sneezing Baby Panda?? Another reason to consider accepting employment in another state, it never showed up here in my area of North Carolina. Is it worth buying on Amazon? How cute is this concept? Actually, the very viral video, pun intended, was passed around The University of North Carolina at Greensboro (UNCG) several years ago. All 6 and 1/2 members of my graduate school cohort (1 was part-time) loved it and posted it on their Facebook page. As did many traditional and non=traditional undergraduate students. As far as I could tell, The Sneezing Baby Panda had, and still has, universal appeal on Facebook, AKA The Timewaster From Hell. I am beyond excited to know about the movie. My birthday was a bust, considering my imitation of being feeble and me being a Weeble. You can imagine that I am incredibly excited to to have the opportunity for a redo celebration. Party at my house, because the movie is arriving tomorrow night, I ordered the DVD online between sentences. After this post, I am off to purchase supplies to make cuppycakes. Before, during, and after that endeavor, I seek extreme air conditioning. I never imagined that I, as a member of the general public, would know the identity of the Sneezing Baby Panda, and his or her mother.All Pandas are black and white, correct? Therefore how would I distinguish them apart, in pictures no less? 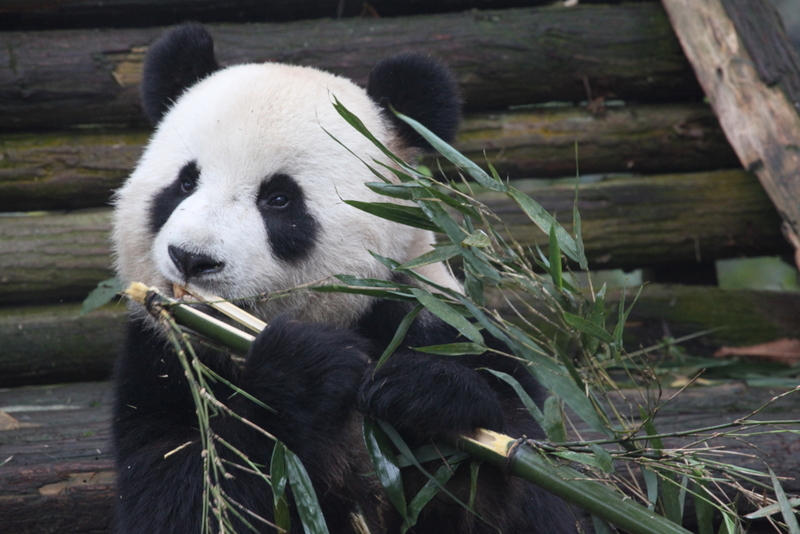 To know who the baby panda is, and to have her be Bao Bao’s mother Mei, gave me great happiness. The Princess Pinky’s Mommee., the panda I have watched on Panda Cam, since before the birth of her first cub, the cuddle-boy, Tai Shan. The pregnant panda I rejoiced about when she gave birth a few years ago and cried when that cubby was lost and went onto, I hope, a better place. Since this revelation, I have wanted to ask each member of the Panda Fandom to share his or her favorite (panda)video. (No, I don’t want to know your favorite Adam Sandler or adult video. Or even your favorite art house video, at least not at this time) Bob T Panda must be a mind reader, and let slip that The Sneezing Panda is the favorite while using it as a point in a storyline. Without a doubt, the video that has captured my heart is the one where Yuan Zai, AKA ZaiZai, is reunited with her mother, Yuan.Yuan . Two years ago, a cherished friend posted the video of the mother-cubby re-union on my Facebook page. I met Jennie when we were both students at UNCG. She was a very successful non-traditional student, who has many talents. In the summer of 2013 I still denied myself the opportunity to embrace my interests and to experience joy, a holdover from my previous life. Jennie deserves the credit for helping me open myself up to the joys of panda again. I loved that video of the tiny baby being reunited with his or her mother. I loved that cubby, a little pink baby, in need of a mother, and caloric enrichment. ADHD me, I didn’t pay attention to country, zoo, or panda names. Then last Autumn, my new friend, Anne Lane, introduced me to Zai Zai. I may favor the Z Z as much as I do The Princess Pinky (please don’t tell The Pinkster). It is only recently that I came to understand that the baby panda in my favorite video and Yuan Zai, are one and the same panda. The same panda as the one now appears to have never missed a meal, or anyone else’s, are both “rice ball”, Zai Zai. Off to find an air conditioned freezer. I am so happy you are getting the video. I thought it was a very funny movie. And part of it is set in Australia! Please let me know what you think of it. I’m also so happy that you can have a belated birthday celebration. I think birthdays can be celebrated all year long 🙂 Let me know what cuppycakes you make. Isn’t it funny how some panda videos can touch us and then we discover who the pandas are and they are ones we know. Finding out that Bao Bao’s mother Mei Xiang is the sneezing baby panda blew me away. My favourite panda video – pandas on a slide! !